When we curated our list of romantic film locations, there were so many inspiring destinations from romantic movies that we had to make another post. This time, we’re staying local. Here are some filming locations in the USA from your favorite romantic movies as suggested by travel experts. No romantic movie list is complete without a film starring Sandra Bullock. You know, “that woman in the Netflix movie Bird Box” that everyone is talking about. The Lake House is a Hollywood remake of South Korean film Il Mare. The romantic drama is about an architect, played by Keanu Reeves, and a lonely doctor, played by Sandra Bullock. The two meet by exchanging letters left in a mailbox at the lake house they have both lived in. A relationship blossoms from their correspondence. However, the only thing that separates them is they live in different times–2 years. The Cloud Gate also known as the Bean in Chicago, IL. And I thought my then long distance relationship with my husband was complex. As a matter of fact, my husband and I began as penpals too before we decided to finally meet and close our distance of 8000 miles. Note the time difference of 12 hours. We were living in polar sides of the world. This was on our playlist when we would watch a movie together while chatting on Skype. Our mini-moon was also in Chicago. The lake house in the movie was located in Maple Lake, Illinois. Unfortunately, the production crew tore it down after filming. Most parts of the movie though were shot downtown including a walking tour of the city of Chicago, IL. One of the best romantic movies is Somewhere in Time. With an all-star cast of Christopher Reeves and Jane Seymour, this movie was shot on Mackinac Island and came out in 1980. Somewhere in Time is a love story about two people who loved each other in another time, but could only find their way back from time travel. Christopher Reeves’ character is given a watch by an older woman who whispers to him to find his way back to her. After discovering a photo of a beautiful woman on the wall of the Grand Hotel, he realizes that is her from the 20’s, and he must get to her. The Grand Hotel in Mackinac Island, MI. Photo courtesy of Nicole Sunderland, Eat, Live, Travel, Drink. The movie has such a large fan base that every year there is a celebration weekend at the Grand Hotel of the movie and everyone dresses in costume from the time period. The Grand Hotel is located on Mackinac Island in Michigan, which is just over 8 miles around. No cars are allowed on the island and everything is done by horse and carriage, bike or by foot. One should visit the island simply because it is a magical place tucked away between the upper and lower peninsulas of Michigan. True Romance has to be one of the great modern-day love stories of all time. A lonely guy who goes to watch a birthday movie alone ends up on a date with a call girl who was hired by his boss so he could get laid. The girl ends up falling in love with him overnight and she confesses to him that he is her second client. The next day he goes to confront her pimp so they can get married. They end up in a sticky situation involving a suitcase full of illegal substances and fleeing to Hollywood in Los Angeles to arrange a deal through an old school friend. Hollywood sign. Photo courtesy of Daniel James, Layer Culture. The idea is to sell the illegal stuff in Hollywood before traveling to Mexico with a ton of cash and living happily ever after. Hollywood is the land of dreams. If you ever get a chance to, don’t miss the Hollywood sign, it’s easily accessible and you don’t have to pay to get close enough to get the perfect shots for your Instagram profile feed. Fever Pitch is a romantic comedy set in historic Boston, MA featuring Drew Barrymore’s character, Lindsey Meeks who falls in love with an unassuming school teacher, Ben Wrightman, played by Jimmy Fallon. Meeks knows nothing about baseball and struggles to connect or understand Wrightmans’ obsession with the Red Sox. As their relationship blossoms Meeks becomes fed up with his dedication to the team. Fenway Park. Photo courtesy of Ruth Mendes, Have Kiddos Will Travel. 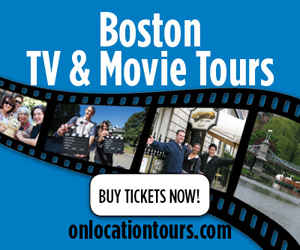 The film features the best of Boston’s sky line, Newbury Street, Boston Common, the North End and of course, Fenway Park. The historic baseball stadium is home to Major League Baseball’s Boston Red Sox and can be enjoyed via tour. Boston fans are a unique and passionate breed. Thus, the theme of Fever Pitch is one that any traveler to Boston would be able to feel within the unique sports culture of the city. Fever Pitch is a lighthearted movie about love, baseball and a cult like dedication to all things Red Sox. Fever Pitch’s storyline provides a nostalgic walk through memory lane for anyone who’s ever spent time exploring the city. Did any of these movie locations make it to your bucket list? Do you have other romantic film suggestions that should be on this list?